The Character Merry-Go-Round Continues: Character meet and greet locations at Disney’s Animal Kingdom continue to shuffle around, in what we assume is an attempt to ready the park for construction of Avatar Land. 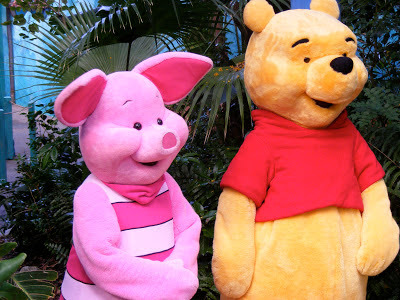 After making his final appearance at DAK on May 9, Eeyore will be leaving the park, while Winnie the Pooh and Tigger will relocate to Camp Minnie-Mickey. (We can only assume this is very temporary as well as the Camp is the location of the Avatar project.) The “Adventurer’s Outpost” is scheduled to open on May 12 and will be the new permanent home to Mickey and Minnie Mouse. Donald and Daisy Duck will take the Pooh character's place on the Discovery Island Boat Dock. It’s tough to keep up with all of this, so if you visit the park I would suggest you ask a Cast Member for the location of the characters you are looking for. Get Some Jambo Everyone Merchandise and Help Our Conservation Partners: Time to take this opportunity for a shameless plug. 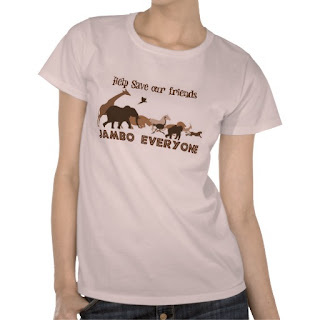 Have you seen our store at zazzle.com/jamboeveryone? If you purchase any of our Jambo Everyone products there, we will donate 50% of the profits to our conservation partners.